Because I have two roll-outs at the first of every month, I like to share my Block a Day Calendar blocks a little early. 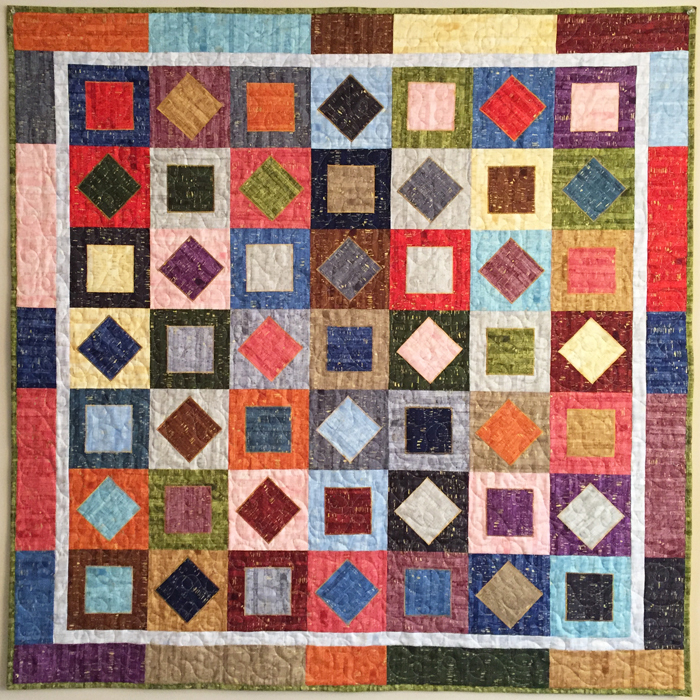 There are 31 blocks in TWO sizes, along with complete directions for one small quilt. 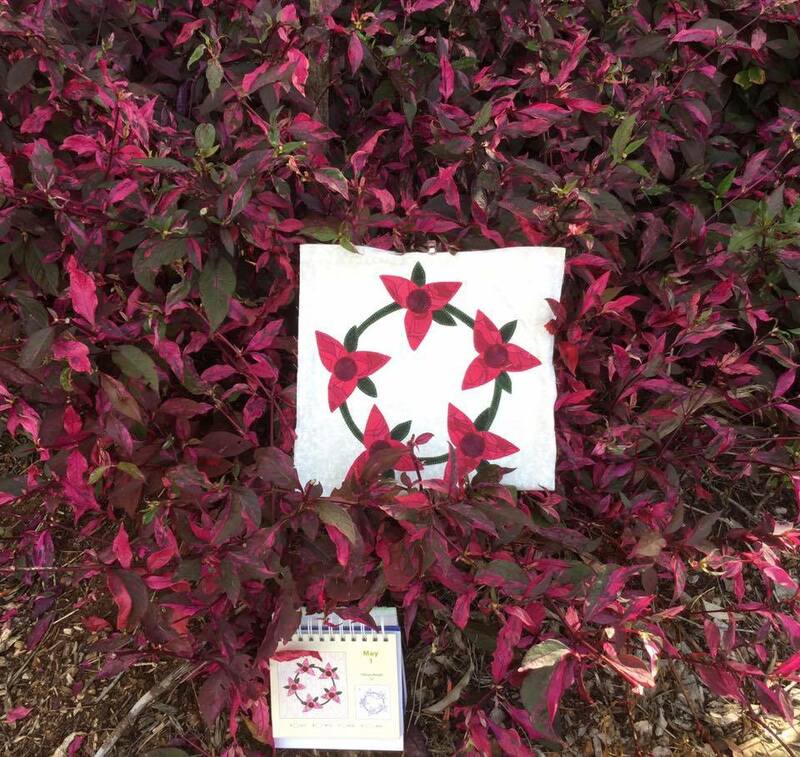 This is the Trillium Wreath block (12") set on point. 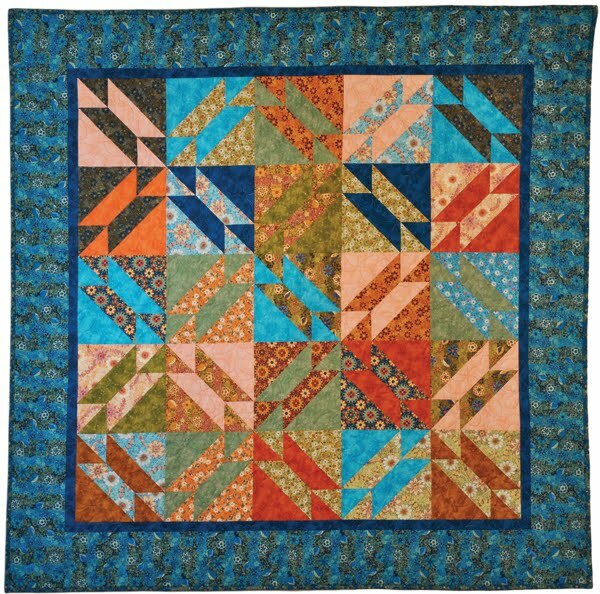 I have a quilt made from this block somewhere . . . Here is the REAL Trillium Wreath block made by Patricia Bryant of Australia. Very sweet! The 45 page pdf has all 31 blocks in two sizes with all templates full size. A variety of sizes of blocks and colors and styles! 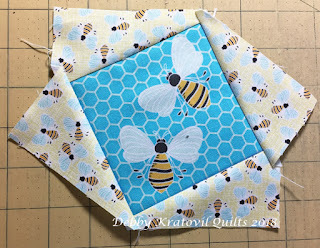 Here are the links to the blog posts I had here last year that shows ALL the blocks from May. 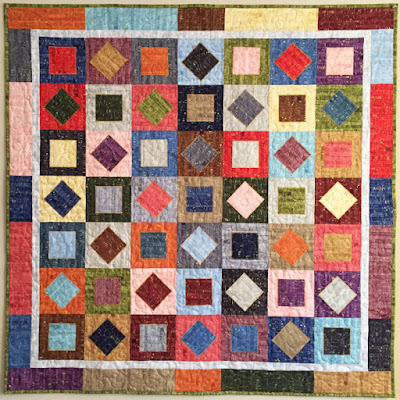 I share several quilts I've made from many of these blocks, so take a trip back in time to see more than just blocks. 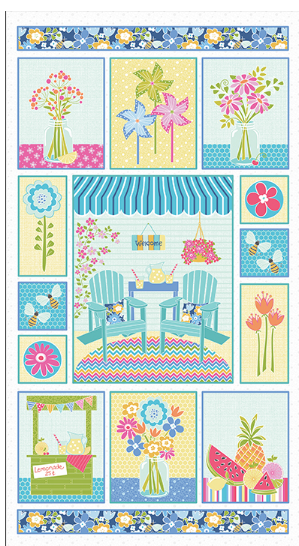 You can find the 45 page pdf on my Craftsy site: May Blocks from the Quilter's Block a Day Calendar. 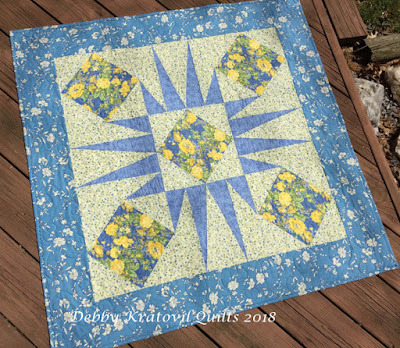 See you Tuesday for the 5th block in my 2018 Tea Party Block of the Month! No, I'm not falling apart. That's the name of a new collection by Windham that mimics that of cork. There are 24 skus in these blender-type fabrics. Let's see them. I decided to revisit a project I have made more than once. 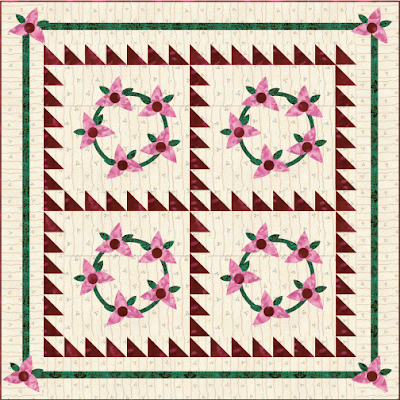 It's my Dancing Squares pattern. 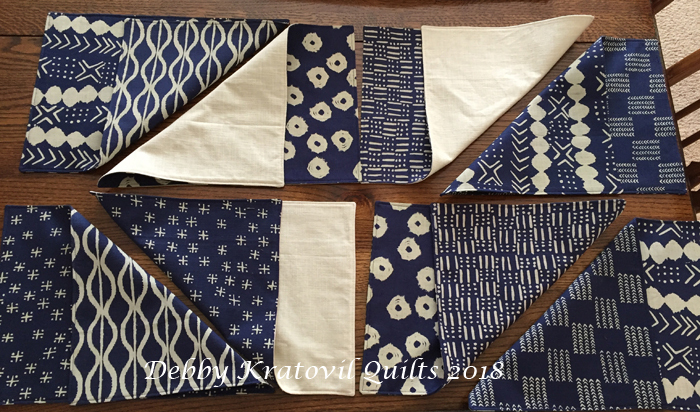 So, of course, I had to cut some squares! 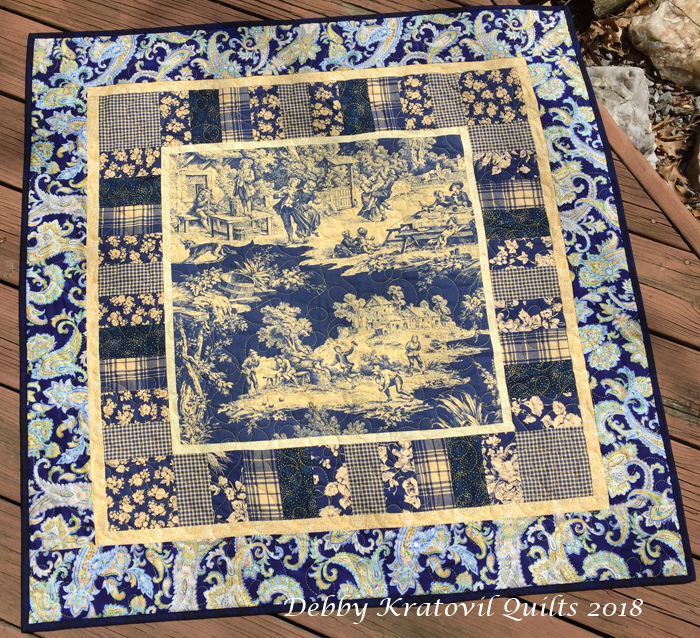 Here is a little quilt I made using the Forest Parade Collection (Windham) from 2015. I just finished quilting it yesterday and hope to get the binding on today. I'll share that picture soon! I made my Dancing Squares pattern using Uncorked and love how it turned out. 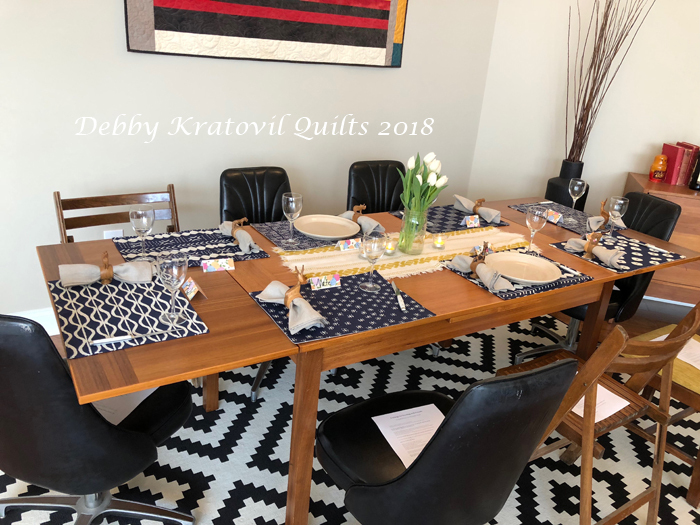 The blocks are 6" x 6" and the quilt is 51" x 51". 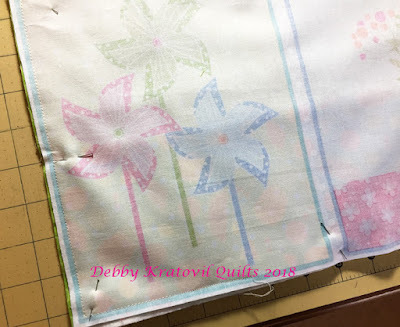 I will share more on this pattern soon. Very easy using two different sized squares. 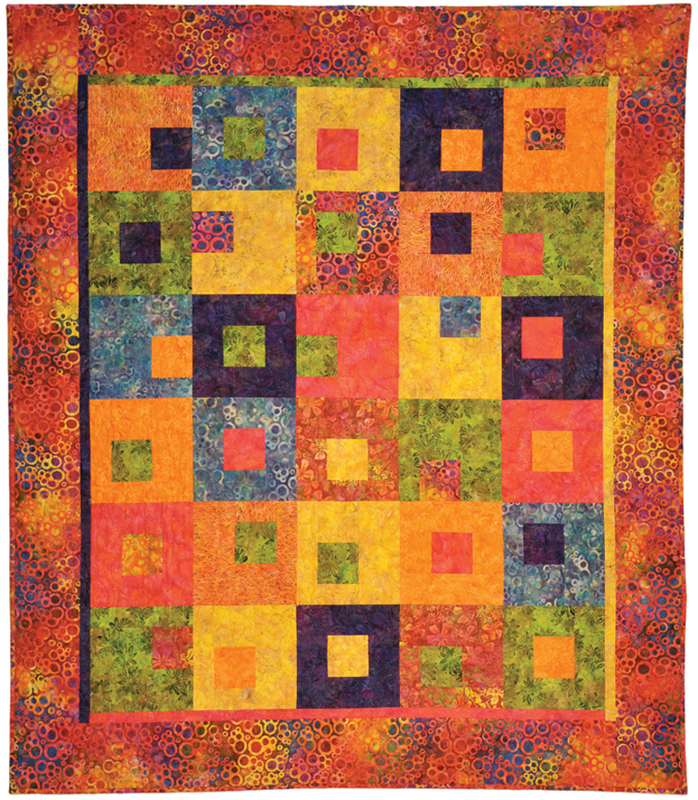 If you look close, those smaller squares are zigzag stitched onto the larger squares! 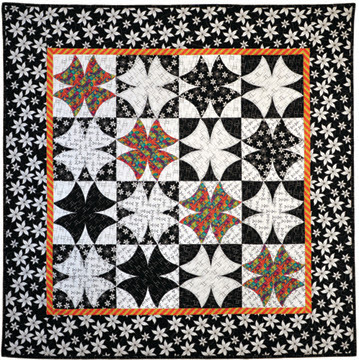 My first one appeared in my first book (Bold, Black and Beautiful Quilts, AQS 2004). OK, I'll show that to you! 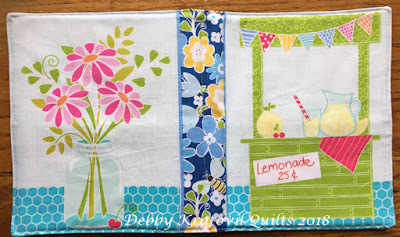 Check with your local quilt shop to see if they carry this amazing collection of blenders with just a touch of gold. Click that link and you'll go to the Windham page that lists those shops. Well, not exactly ON the Front Porch. 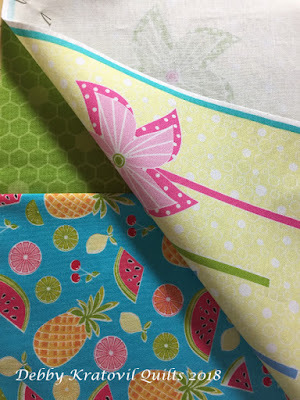 The name of the fabric line is Front Porch. 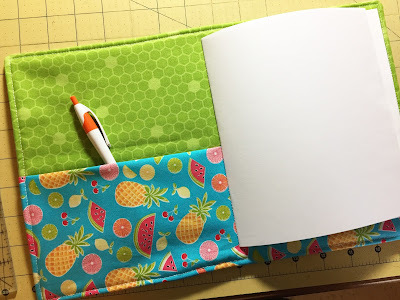 I was asked to come up with some quick and simple projects using this collection and the companion panel. First let's see the fabrics. 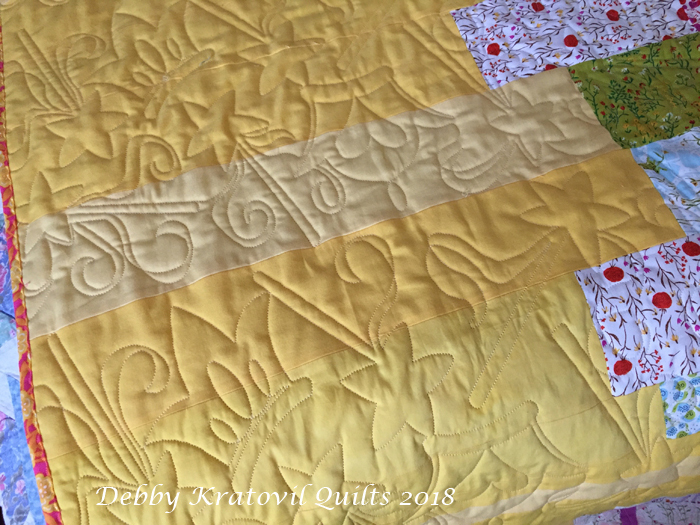 I have been on a roll to try and make a dent in my stacks of unfinished quilts. I don't think I'll ever get them all done (I have at least 3 dozen or so). But here are 3 of my recent finishes (last week) that I enjoyed completing. 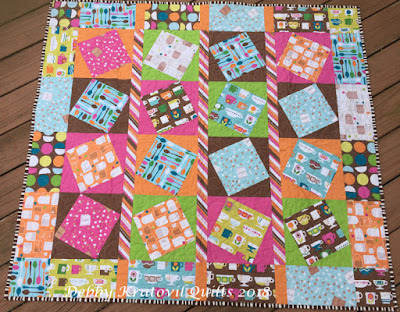 All were quilted on my Handi Quilter Sweet 16. 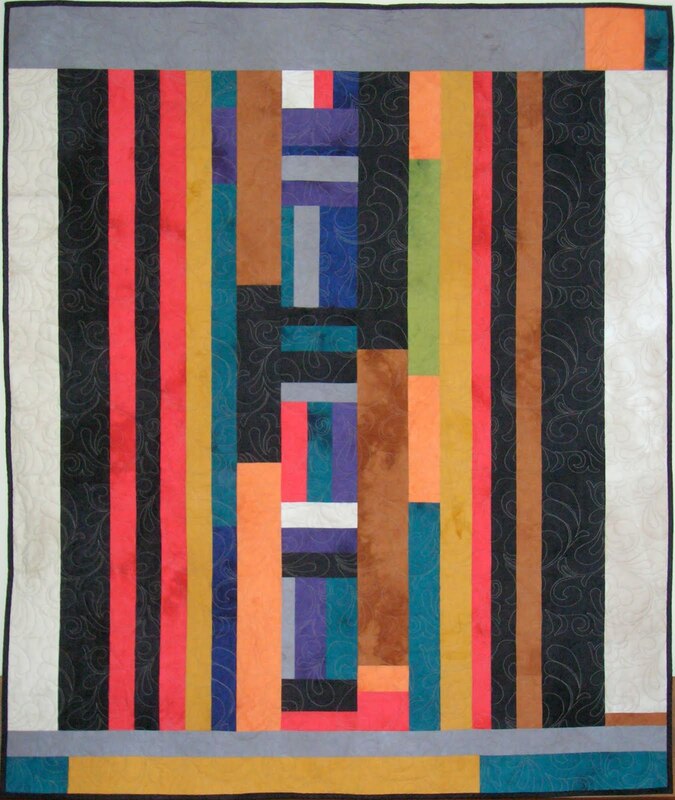 I made this quilt several years ago. 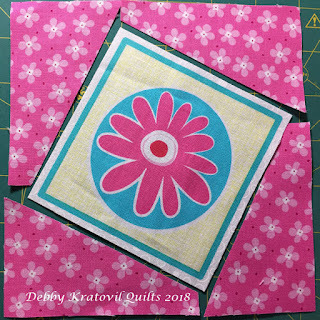 I love making these tilt blocks using my own template set (Arrowheads) which are the same angle as Darlene Zimmerman's Tri-Recs. I've been making my tilt blocks for about 20 years. 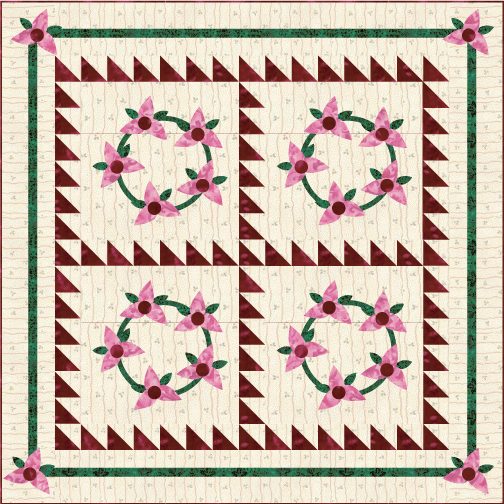 Cream and Sugar Tilted Squares: 47" x 51"
Notice that I didn't use a single piece in the border. 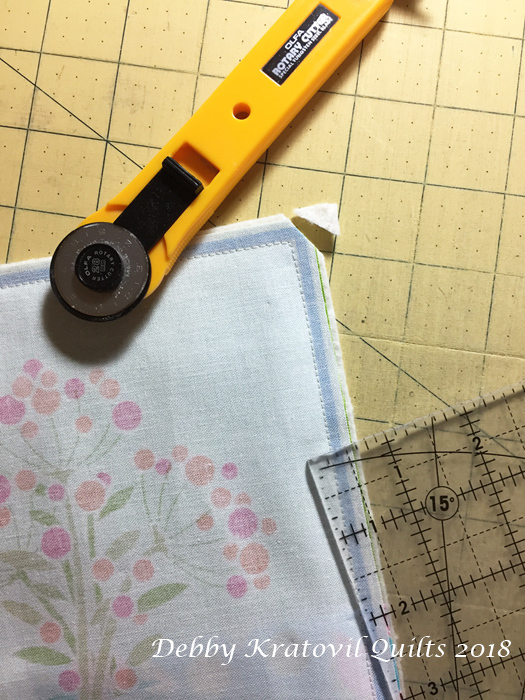 That's because I only had scraps from the remainders! I cut rectangles and squares and even extended the sashings into the border. I call this really making do! 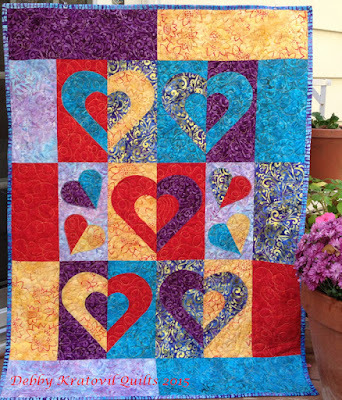 Next is a quilt that began in Paris, France in April 2001. My husband and I were on our way to Spain to visit our daughter who was studying abroad. 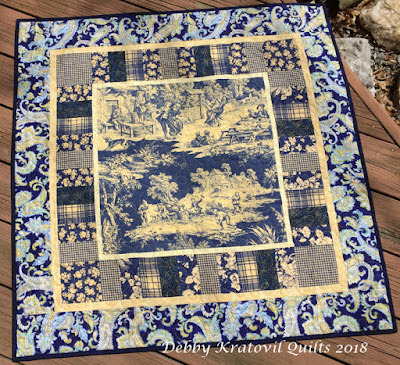 I visited a quilt shop and bought the center toile panel. Not sure if it was made in France, but it certainly has that personality, doesn't it? I put this together about 15 years ago for a borders workshop, to show how you can create compensating strips between a center and some pieced units so you are working with "normal" numbers. 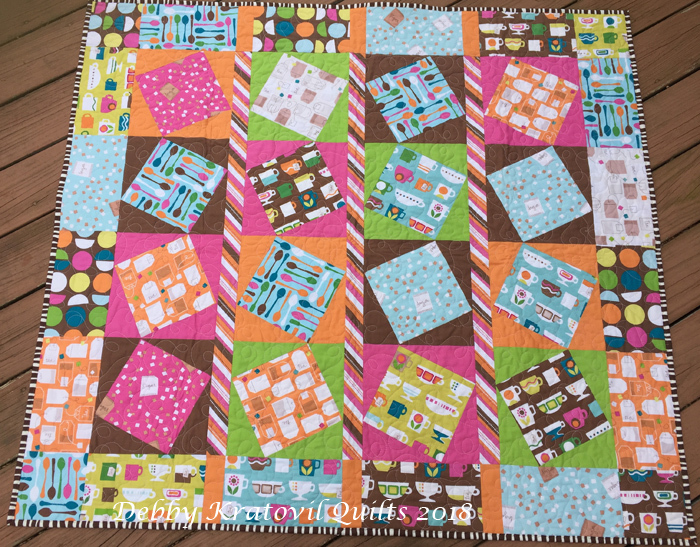 I think some child will enjoy this (40" square). 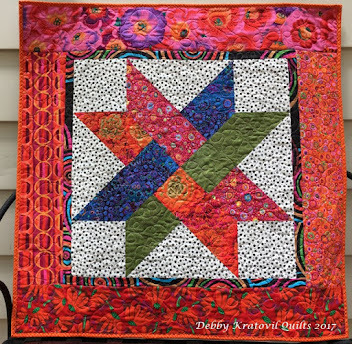 Memories of France 2001: 40" x 40"
And the final quilt is one pieced several years ago using my own Spikey Star pattern, paper pieced. 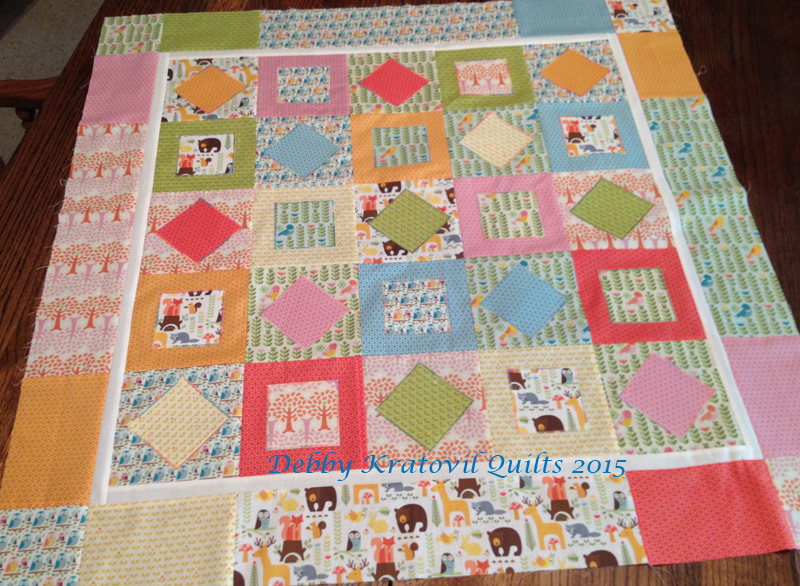 This block is a whopping 30" x 30". That means those four spikey units are 10". How I miss my large format printer. Gotta get another one soon. 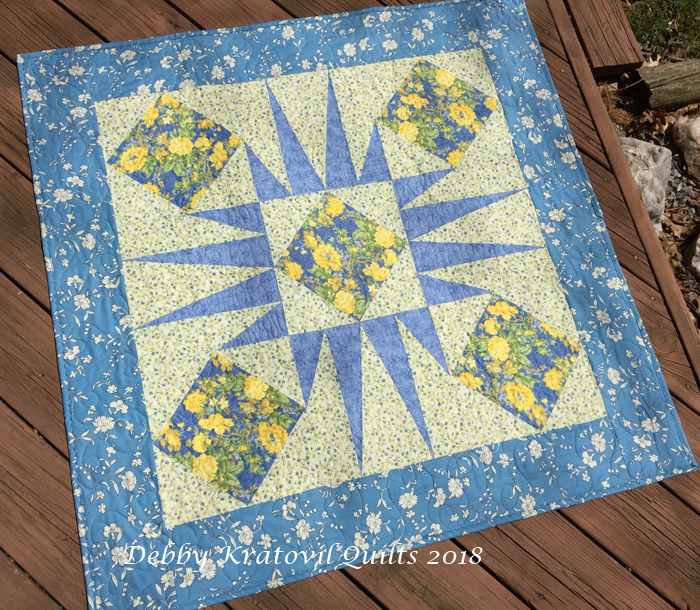 Blue Spikey Star: 40" x 40"
I just quilted a small quilt this afternoon which awaits the binding. 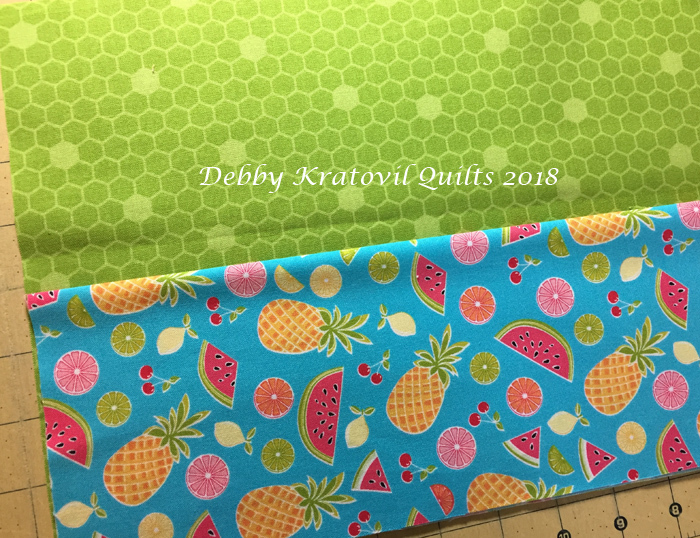 I have another one layered and sitting under the needle of my HQ Sweet 16. And I'm piecing a backing for yet a 3rd quilt which will also be quilted this week. 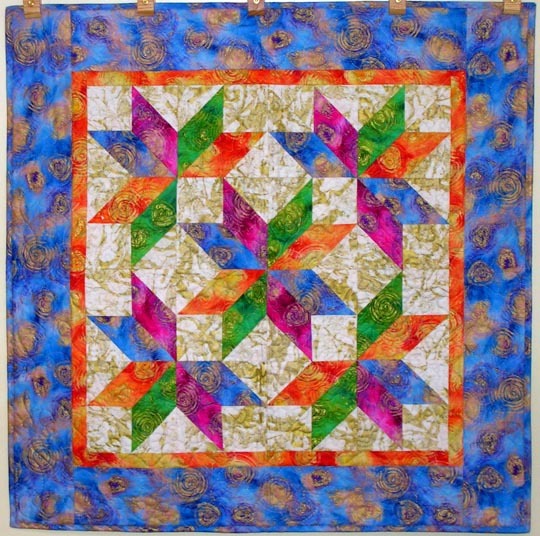 I did a tutorial on it a few years ago using the Forest Parade collection by Windham. 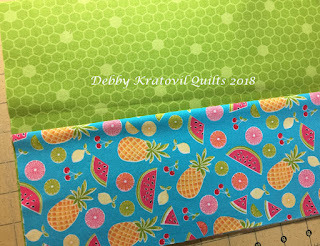 The next time you'll see it, it will be quilted. Hope you enjoyed the show. Now I'm off to cook dinner! 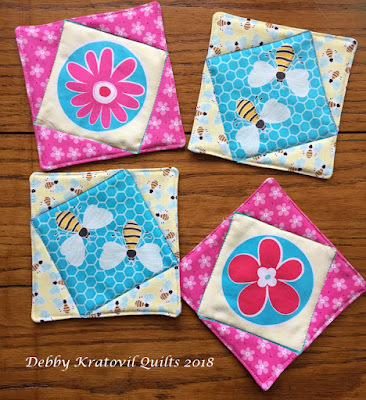 My sister told me yesterday that she paid $10 for a pattern and $4 postage. It is a very simple Rail Fence made with 2-1/2" strips. Frankly, I'm horrified she paid so much for something so easy. 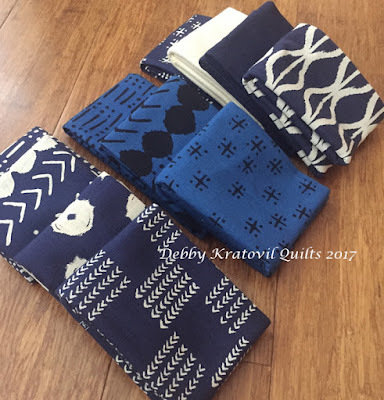 But, I sell patterns, too. And I try to keep them affordable. 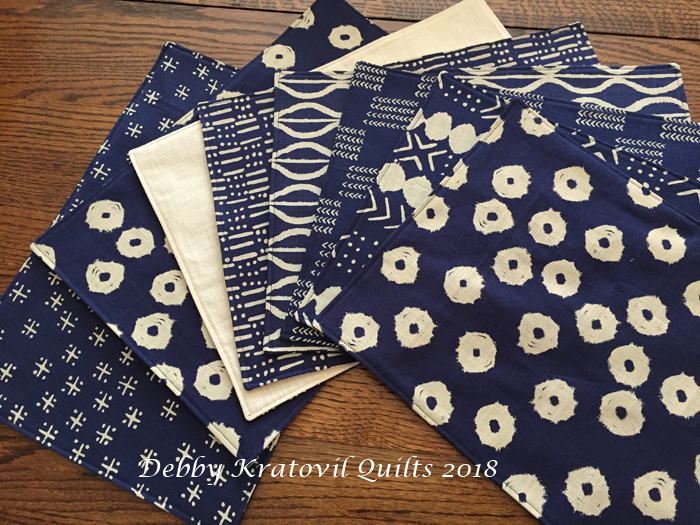 For one week only (April 16 - 23) I have reduced the price for four of my patterns (actually, 2 of them are new). 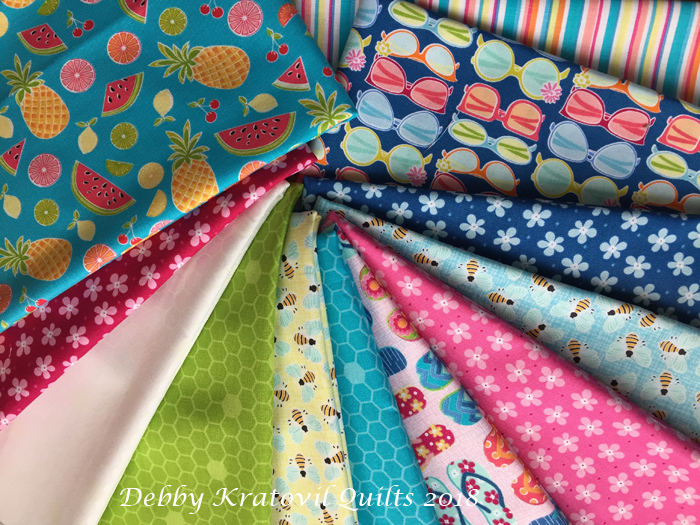 $5.00 for one week only! 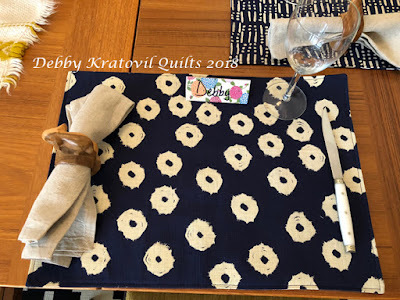 You can find them at Craftsy, but let's have a look here. 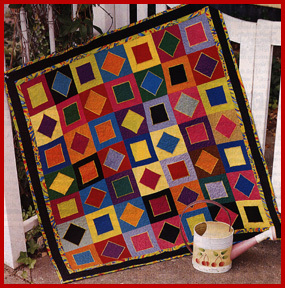 Colorburst Squares was published in a magazine several years ago and then became a popular workshop. 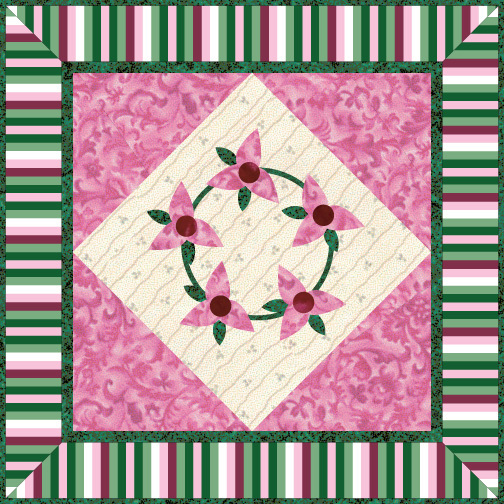 I also included it in my 2012 Wall Calendar of quilts. It uses 3 different Log Cabin type blocks (actually, they are Cobblestone Blocks). Very scrap friendly! 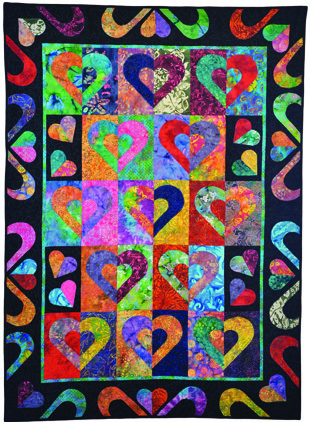 Hearts on Fire is a quilt you've seen here before. I even made a smaller one for Benartex. Hearts on Fire: 10" blocks, 43" x 63"
A smaller Hearts on Fire quilt from a few years ago. 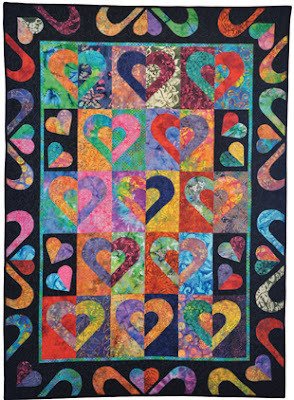 Since gifted to a little girl who LOVES hearts! 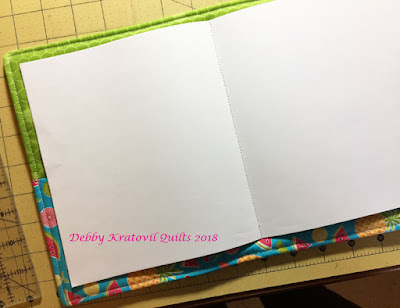 Winding Ways is one of my favorite patterns. I first made it the easy way: a single curved appliqué patch stitched to a background square. Then I got bold and bought a template set and have since made many blocks the old fashioned way (and taught the workshop). Here is the easy way for $5.00! 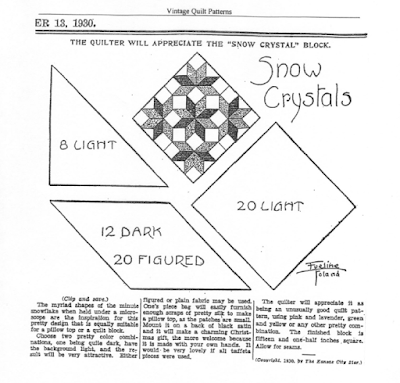 And finally, Snow Crystals. 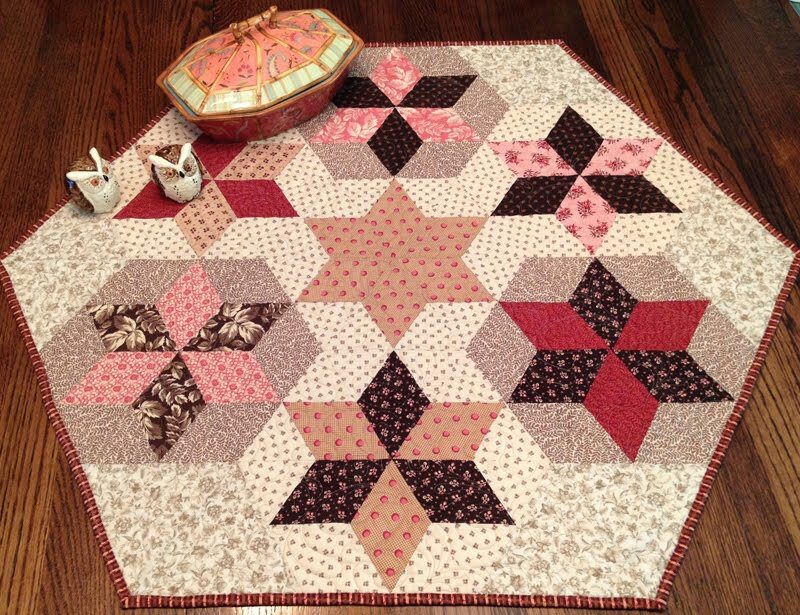 This is a vintage block traditionally made with templates. Take a look at this page from the Kansas City Star. I converted it to paper piecing about 15 years ago. It appeared in my second book (Supersize 'Em Quilts, 2009), was a workshop for several years, and was on the cover of my 2012 Wall Calendar of Quilts. 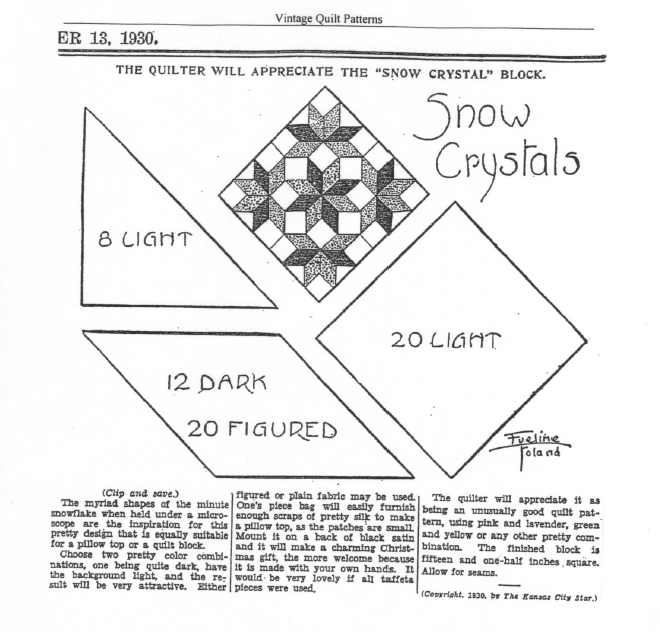 The ENTIRE center is the Snow Crystals block. 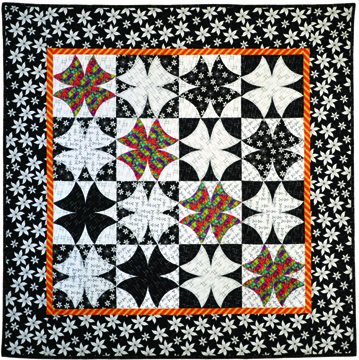 It is a variation of four Lone Star blocks arranged in such a way that they make you think there's a 5th block in the center! 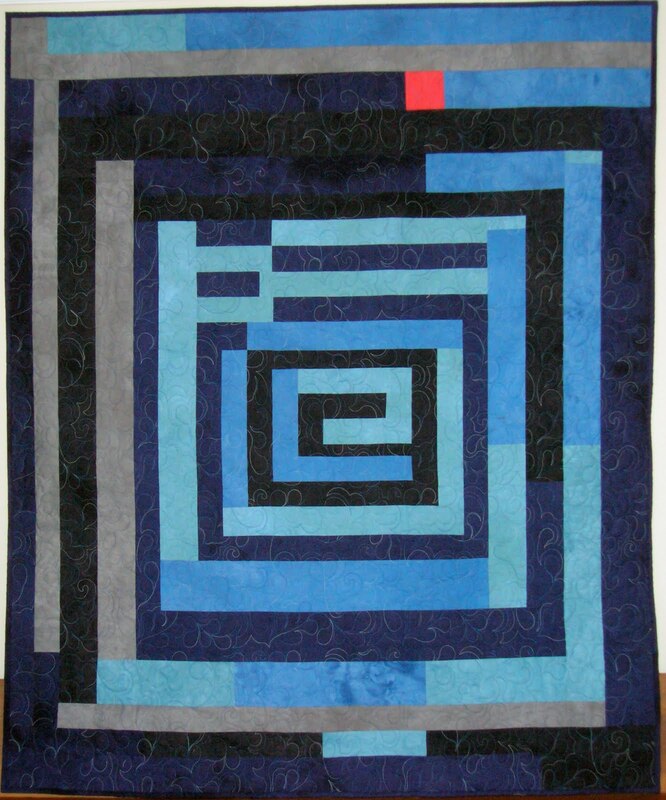 Take a visit to my Craftsy site to see these quilts. 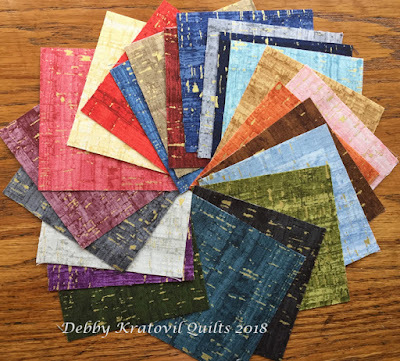 After next Monday (April 23), I will raise the price of each quilt to $8.00. 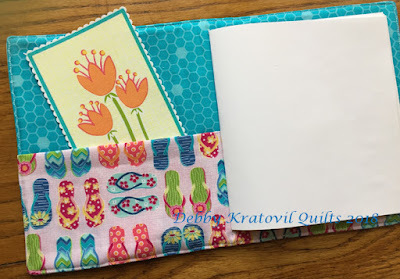 But, remember, with Craftsy, there's no postage! 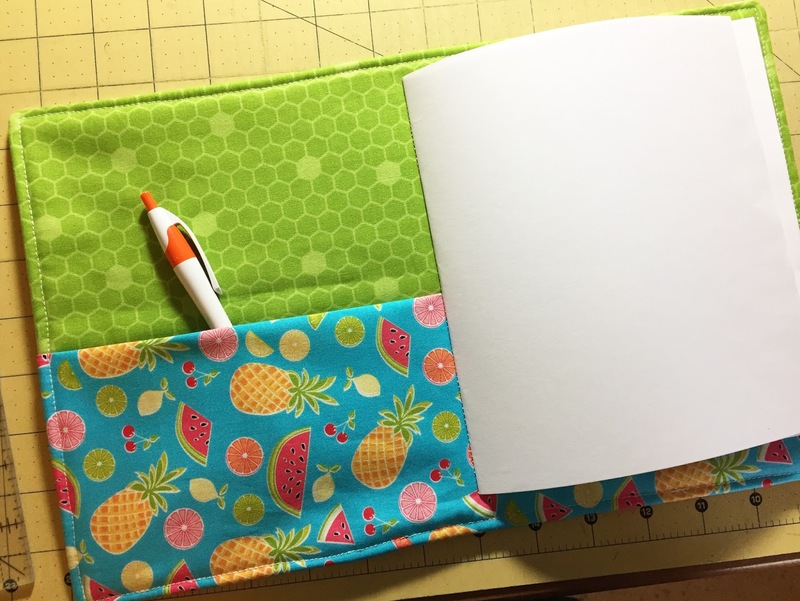 You print and have the pattern right away so you can start sewing! 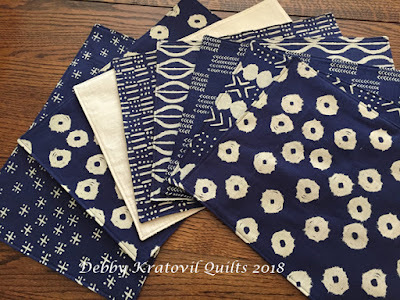 Twilight is a lovely "mud cloth" type of fabric released by Windham Fabrics last year. Two of my daughters fell in love with it and claimed most of it for pillows (made by mom, of course). 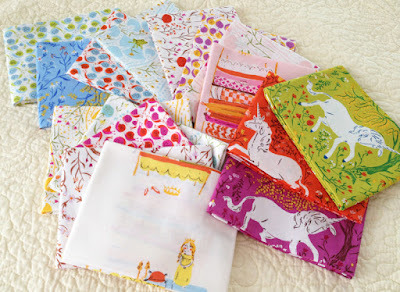 I blogged about them last Fall. Audrey (my oldest) claimed the darker fabrics. I made her a pillow. 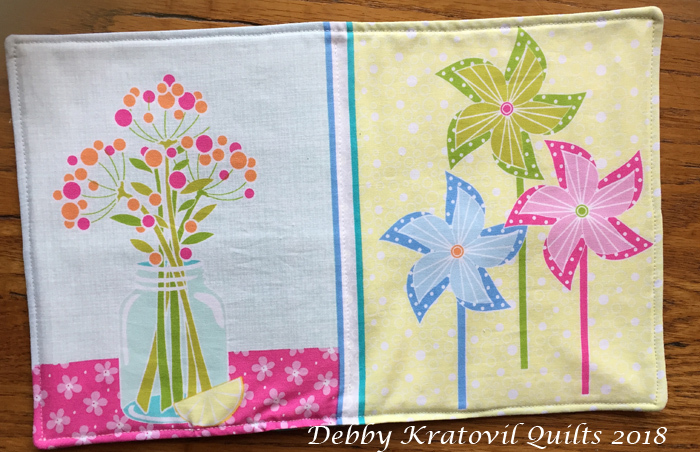 Then she wanted placemats for her dining room table - and she wanted them by Easter! 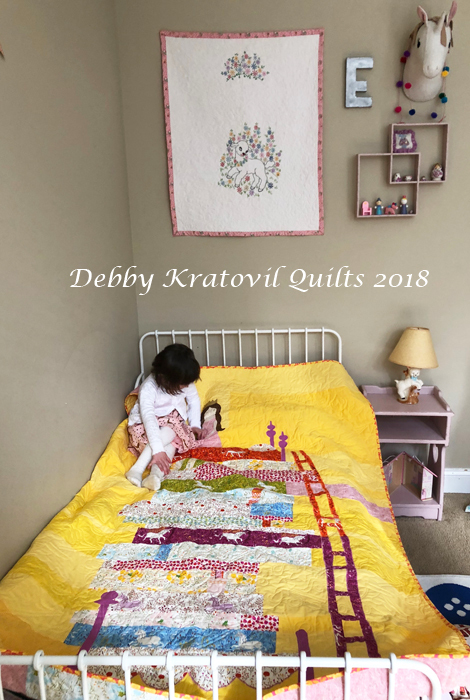 She decided on a finished size of 13" x 18". Whew! 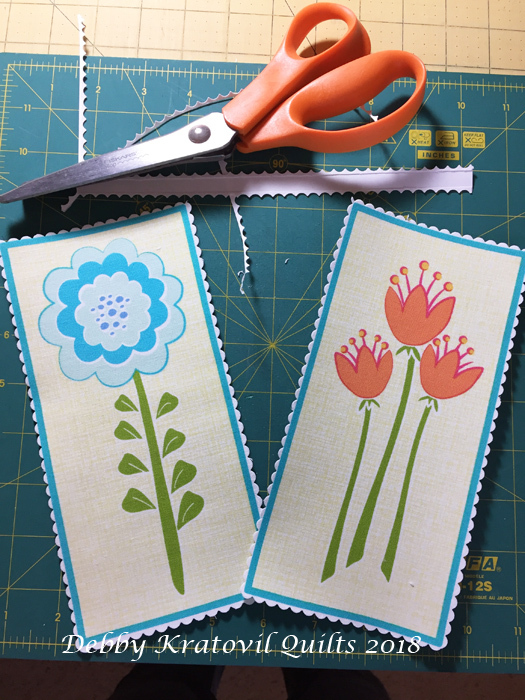 I only had 1/2 yard cuts and knew I could get 3 cuts from each. I would need 16 cuts (front and back times 8). That's all I had of the dark fabrics plus that cream! Here they are. 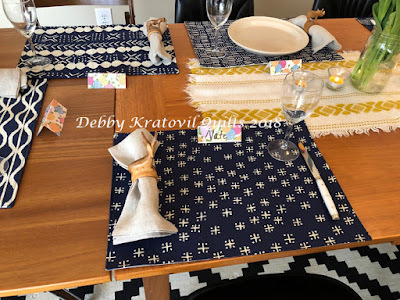 My husband and I took them to her house for Easter dinner. Here is my place. 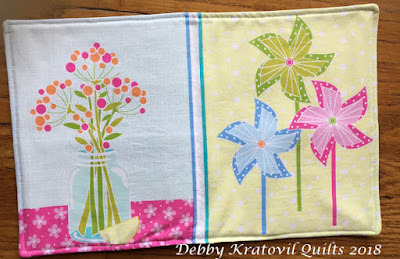 And another of the placemats. 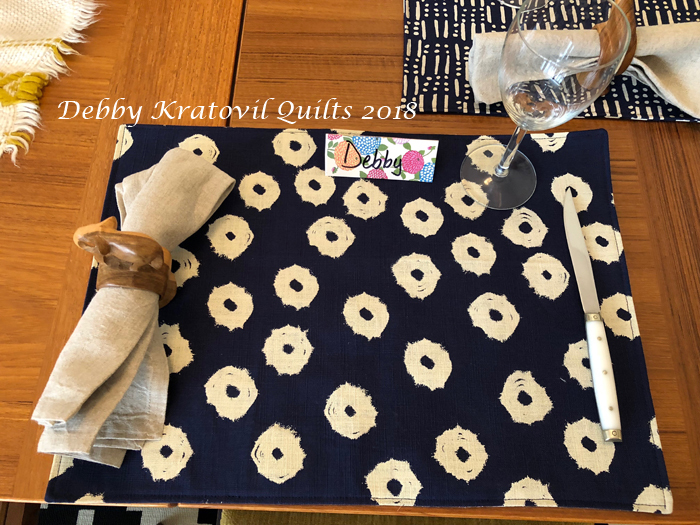 She was so excited to use some tan linen napkins and the carved wooden African animal napkin holders that I brought home from Africa 40 years ago. 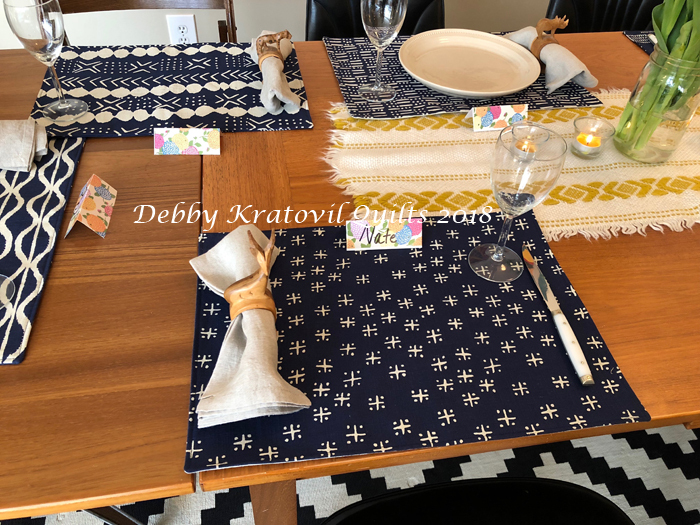 Here is the table setting. Yes, that's one of the Gee's Bend quilts on the wall. My daughters took every single one of the quilts I made for myself. None in my home! 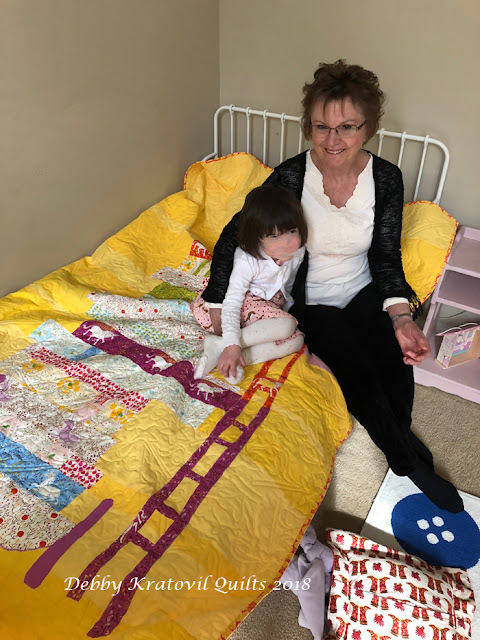 Now, the second project from "yesterday's collections" is the Far, Far Away quilt I made for Audrey's daughter, Eva. She is 4 years old and loves princesses. Audrey discovered this pattern from a few years ago and said, "Mom. Please make this for Eva." Sigh. 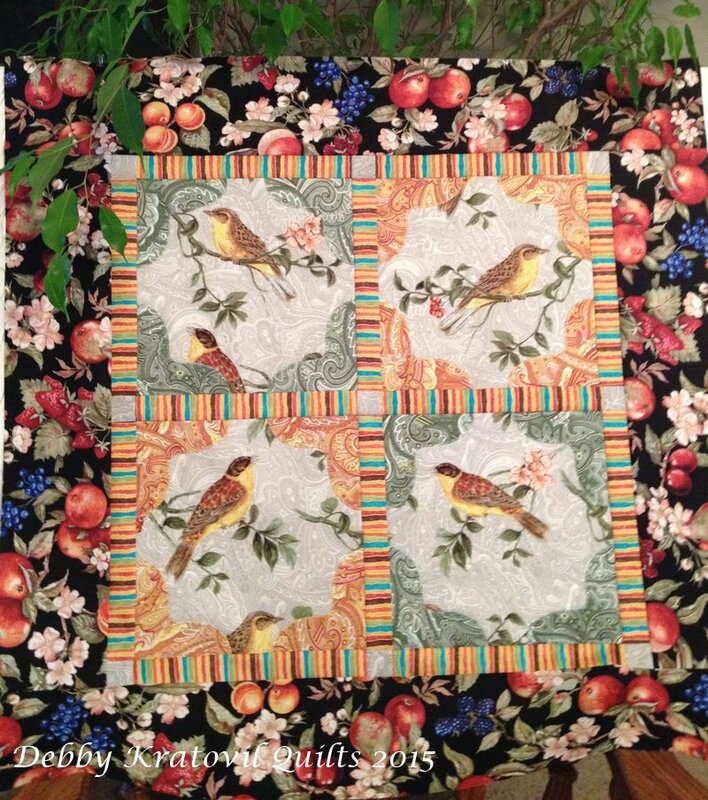 This is not my pattern, but Windham hired me in 2014 to pattern it for the designer (who made this improv style). 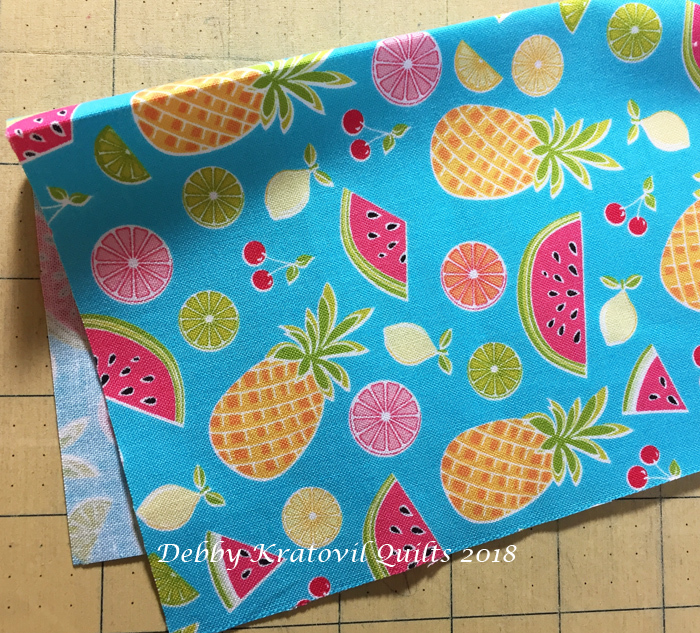 I had quite a bit of the fabrics remaining, so I jumped in. 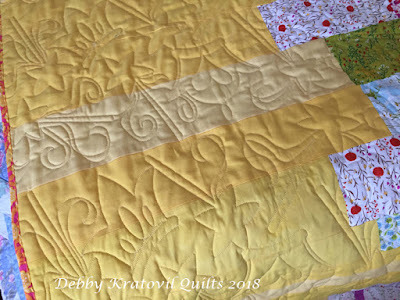 The background yellow fabrics are from the Gee's Bend collection. The pattern is STILL AVAILABLE and FREE. Even if you don't have these fabrics, it wouldn't be hard to improvise. 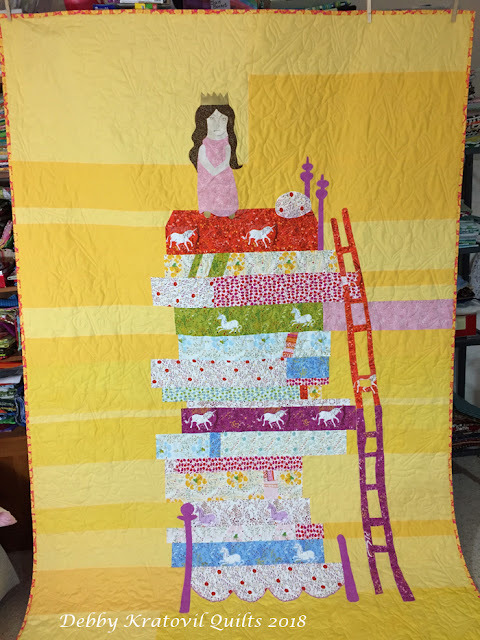 Princess and the Pea: 60" x 85"
Can you see that lovely lamb embroidery on the wall? 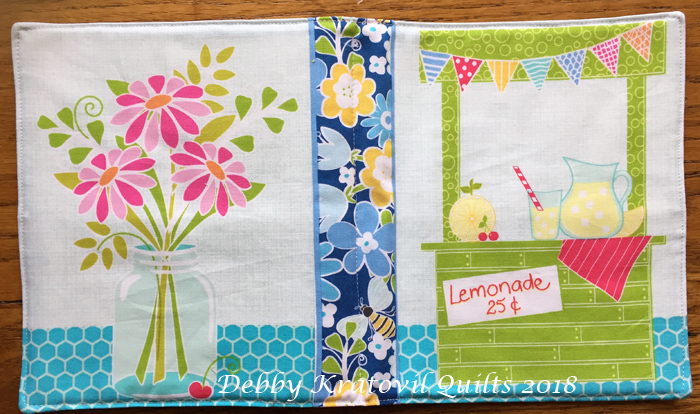 I bought that crib sheet for $1 and then quilted it. It's so sweet! 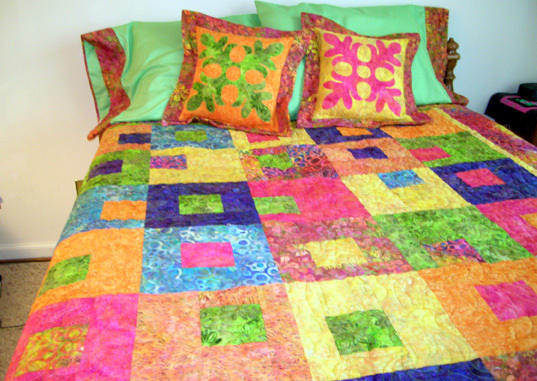 You can have the Princess and the Pea quilt. It's still available at the Windham web site. Even if you can't get the fabrics, you can find something similar fit for a princess!